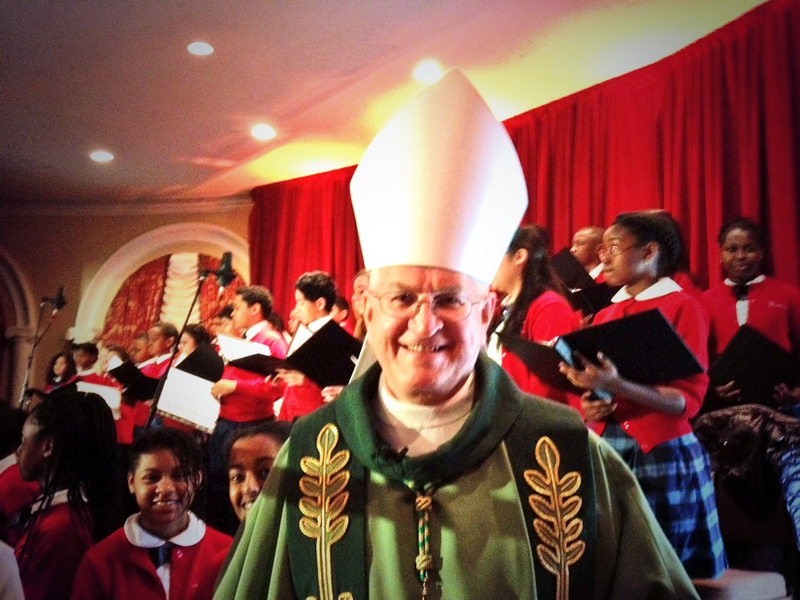 USCCB President Archbishop Joseph Kurtz celebrated mass this morning with participants of the Catholic Social Ministry Gathering in Washington, DC. Since Sunday, over 500 Catholics leaders from communities, parishes, initiatives supported by the Catholic Campaign for Human Development have gathered in Washington, DC at the Catholic Social Ministry Gathering to pray, study and celebrate the Eucharist together. The intense experience of discipleship, fraternity and encuentro climaxes today, when these same leaders go to Capitol Hill to visit legislators and share a vision of society grounded in justice, fairness, respect for the human person and solidarity. CSMG participants go to Congress standing in unity with the bishops of the United States in their call for a just society. They also visit their lawmakers firm in their solidarity with those across the country and around the world experiencing poverty and injustice. Protect poor people at home and abroad in the federal budget. Support U.S. leadership for a two-state solution to the conflict in Israel and Palestine and do not punish Palestinians by cutting aid essential to strengthening peace there. Oppose efforts to roll back the President’s executive actions protecting immigrants and their families. Instead, pass all the elements of comprehensive immigration reform and address the root causes of migration. Check out the full Message to Congress here. Follow today’s events on twitter with the hashtag #togoforth.